BMW is future-proofing its business by accelerating plans to add more electric and petrol-electric hybrid models to its regular line-up and i sub-brand, sources close to the company have revealed. Future all-electric models include a Mini hatchback, X3 and 3 Series, alongside new i models, namely the i5 saloon, an i6 SUV and an all-electric i8 sports car. 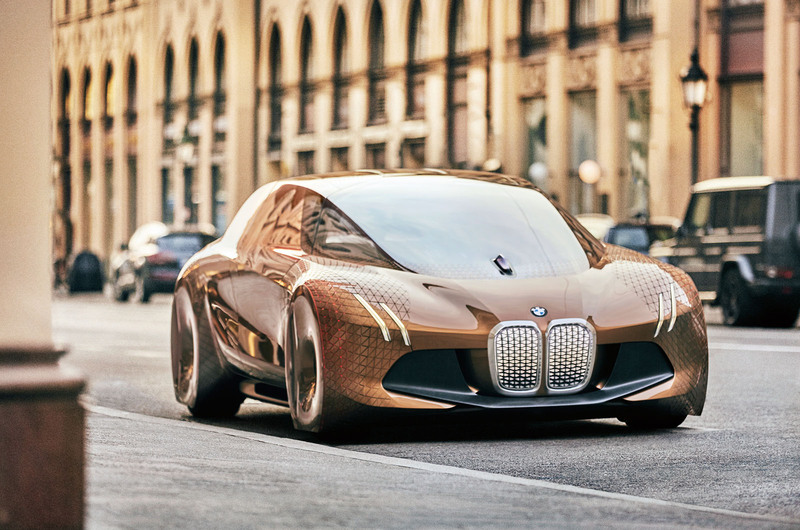 The shift away from traditional combustion-engined models towards alternative drive offerings comes as BMW seeks to reinvent itself as an electric mobility, autonomous driving and internet-based services-led company. In a strategy paper tabled by its chairman, Harald Krüger, BMW has laid the foundations for a series of operational changes that are aimed at transforming the 100-year-old German car maker. Currently based around long-established engineering and manufacturing processes, BMW will focus more on mobility solutions by introducing new electric and hybrid-powered models. A significant expansion in the five-year-old DriveNow car sharing scheme operated by BMW and German car rental company Sixt is also planned, alongside more 'Drive' products in car sharing and car parking. At the same time, BMW will bid to become a leader in autonomous driving technology and driver assistance features through heavy investment in a three-way joint venture it operates with Intel and MobileEye. The other pillar of BMW’s programme centres around strengthening its digital competency and expanding its internet-based services through BMW Connect, which is considered crucial to future revenue streams. The shift in BMW’s priorities is intended to counter the threat posed by companies such as Tesla, Uber and Google while thwarting similar plans recently unveiled by Audi, Jaguar and Mercedes-Benz. The Strategy Number One Next paper tabled by Krüger targets up to 500,000 electric car sales annually by 2025, and some 20% of total volumes. That’s more than an 18-fold increase on its electric car sales in 2015. Sales boss Ian Robertson has revealed that total i and i Performance sales have now reached 100,000 units in three years and it plans to sell that number again in 2017 alone due to the increasing popularity of the technology. In the first stage of the strategy, Krüger has confirmed plans for electric versions of the Mini Cooper hatchback and the upcoming third-generation X3. “Now we are going to complete the second phase of our electrification strategy with plug-in models in our traditional line-up and other pure-electric drivelines for the Mini and the X3,” he said. The electric-powered Mini is set to be sold under the name Cooper E and is scheduled for launch in 2019. It will feature a similar 300km (186-mile) range as the recently upgraded i3. In 2020, BMW plans to introduce the electric X3 with a range, insiders suggest, that will match that of rival zero-emission SUVs, at around 500km (311 miles). Also under development but not yet official are plans for an electric version of the upcoming 3 Series. Although not part of BMW’s initial wave of traditional models to have electric drive, it is being readied as a rival to the Tesla Model 3, with a launch planned for 2021. It will make sure its next-generation models are able to take a range of different power sources, including internal combustion engines, plug-in hybrid and pure electric, in order to quickly respond to changing demand for the different technologies. However, the centrepiece of BMW’s Strategy Number One Next is an electric model referred to as the iNext but set to take the i5 name into production in 2021. 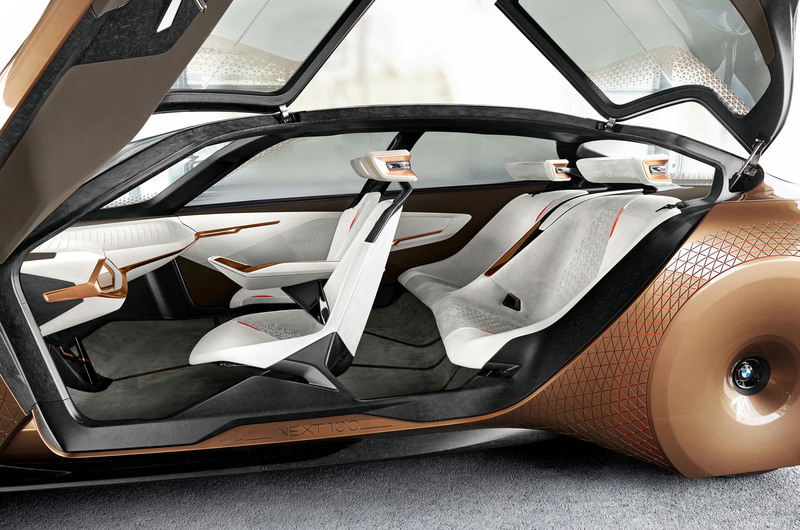 “Our Strategy Number One Next is centred on consequent lightweight construction, alternative drivetrain technology, connectivity, autonomous driving functions and the interior of the future. The iNext will set the standard from 2021,” said Krüger. The i5 is said to take the form of a low-slung four-door saloon similar in length to the recently unveiled new 5 Series. The i5 will be produced at BMW’s Leipzig plant in Germany. The car is based around a new modular platform whose flat floor promises to enable greater interior space and flexibility than that offered by the 5 Series. The use of lightweight materials, including carbonfibre, also aims to give the i5 a lower kerb weight than its main perceived rival, the 2100kg Tesla Model S.
The same platform will be used beneath a dedicated electric SUV that’s due in 2022 and is likely to be called the i6. Elements of the platform are also set to form the basis of a fully electric successor to the i8, which is intended to spearhead BMW’s electric car line-up with a fully autonomous driving function. The i5 will be BMW's first autonomous model. It will have the ability to enable a driver to take his or her eyes off the road during highway driving but the car will be able to alert the driver if it needs to hand back control of the car. Fully autonomous systems, including in urban environments, are still some way off. Power for the i5 will come from a new-generation electric motor. In a strategy mirroring today’s line-up of combustion-engined models, the synchronous unit will have differing power outputs to provide the i5 with broader sales appeal than the existing i3 hatchback. Sources suggest the power spectrum of the new electric motor will be similar to that of the traditional six-cylinder and V8-configured petrol engines available in the new 5 Series. BMW intends to provide the i5 with the choice of battery capacities to allow buyers to tailor the range to their intended usage. The base model is set to offer a range in the region of 550km (342 miles) — some 250km (155 miles) more than that offered by the recently updated i3. However, a more expensive variant with a higher-cell-density battery could offer up to 650km (404 miles) between charges, according to one senior BMW official with knowledge of the Strategy Number One Next plans. The next model to come from BMW's i range is the i8 Roadster, which will be revealed in 2018 and be on sale by the end of that year or 2019 at the latest. BMW also aims to extend its petrol-electric hybrid range, which currently stands at seven models, and will expand it next with the launch of a plug-in hybrid 5 Series saloon in 2017. The expansion plans also call for the introduction of a so-called Power-E-Drive system to give future BMW hybrids greater performance potential. The new system uses two electric motors — one on each axle — and can support either a four-cylinder petrol engine, as used by BMW’s existing hybrid models, or a six-cylinder unit. The six-pot hybrid powertrain is expected to feature in a new large seven-seat SUV, the X7, which is due in 2018. Looking further ahead, BMW plans to have fuel cell technology ready for 2025, which will be reserved for its largest models. By that point, it also hopes to have developed the technology for solid-state batteries, which will enable better safety, packaging, range and energy density (some 15-20% more) than today's units. Telsa are mentioned a few times in the Article to the extend you wonder why BMW got left so far behind. As a comparasion Telsa currently make 3 times more EV's per year and after reading the above there still seems to no new mass market BMW EV for at lease two more years and that's just a converted mini. BMW leads the German premium brands when it comes to electric power train. Thanks to the innovative i3 and head turning i8. Now the stage seems set for some proper electric rivalry with Mercedes and Volkswagen preparing their onslaughts. Tesla is at least as far ahead of BMW as BMW is of the German pack. Isn't this just the reality of the supply chain catching up. If you believe the Tesla Gigafactory website it will take them 4 years to get up to full production. This will produce enough batteries for 500K cars more batteries than the world produced in 2013. Annual vehicle production is 90 million. There needs to be some serious building done before we can get a large number of annul EV sales. But why come up with EVs that are as wide as the one that's pictured? Batteries make sure the car has a very low center of gravity. Would benefit the efficient use of space, of which there's shortage, particularly in inner cities. In case you haven't noticed whilst making plans, BMW.